Owning a dog can be exciting. For dog owners, their pooches are their best companion. However, taking care of such a companion can be expensive. As per the statistics, dog owners spend money on different aspects ranging from dog food to veterinary bills. As a dog owner, foreseeing several aspects and acting according can make a big difference when it comes to spending money for taking care of your dog. 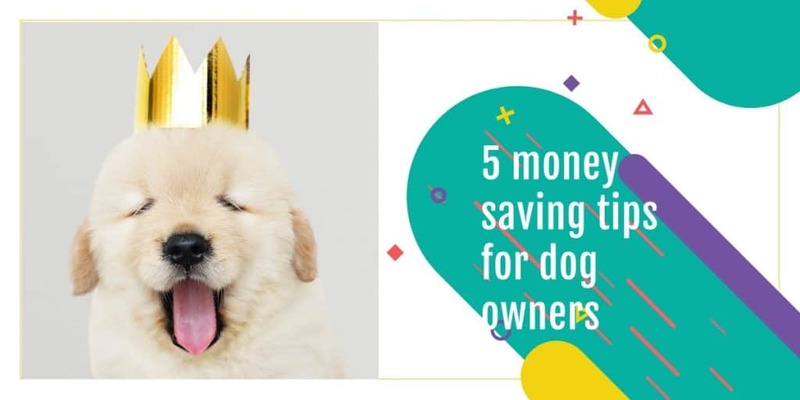 Following are some money saving tips for dog owners. Today, there are different types of dog treats available in the market. These can be expensive and as a caring dog owner, you cannot be sure about the nutritional promises that each of these boasts. This is where you have an ideal option to prepare your own dog treats. Making such a move will give you greater control over the ingredients that goes into your dog’s diet. You can also regulate the portion size accordingly to keep concerns like obesity at bay. Brushing your dog’s teeth on a regular basis is another ideal means to save some money. Most of the dog owners overlook the importance of taking routine dental care of their dogs. Understanding the importance and taking the effort to do the necessary can help when it comes to saving some dollars in the long run. As per the statistics, more than 80% of dogs come across periodontal issues/diseases once they surpass four years. This is where routine brushing can be a blessing in disguise. Most of the dog owners are not aware of the importance of dog wellness exams. Overlooking dog wellness exams can hurt you financially in the long run. Wellness exams are designed to diagnose or identify the health issues early. This is ideal when it comes to making sure that your four-legged companion is up to date on medications. An exercise routine is indirectly related to saving money on taking care of your dog. Planning an exercise routine requires careful thinking and foresight. The exercise requirement of dogs can vary with respect to breed type, energy and health levels. Therefore, it is ideal to seek the opinion of an expert or a veterinarian for planning an exercise routine for your dog. Routine exercise can help to keep your dog fit and healthy. With routine exercise concerns like obesity or hyperactivity can be easily resolved. Bathing your pooch at home is another ideal means to save some expenses that would be otherwise spent on a professional groomer. Bathing a dog at home can be an overwhelming task. This is where you can utilize some tips to make the task less traumatic. Utilize these tips to bath your dog efficiently. As a dog owner, you should be always on the lookout for some tips to save some expenses. Be smart and think ahead to ensure that the road ahead is smooth and easy. Always keep a close eye on your pooch and spent some time with him to ensure that everything is progressing as planned.